Wonderful for fish and seafood, this is good in a stir-fry or basted on grilled shrimp or fish. Use it to make buffalo chicken wings. You can even drizzled it on steamed white rice. There is nothing fancy or complicated here. Anyone can do this and it’s not necessary to stick with these actual brand names, only the general sauce type. I start by mixing equal amounts (about 2 Tablespoons each) of soy sauce, Korean gochujang sauce and Thai sweet chili sauce. At this point, you should taste and see how you like it. 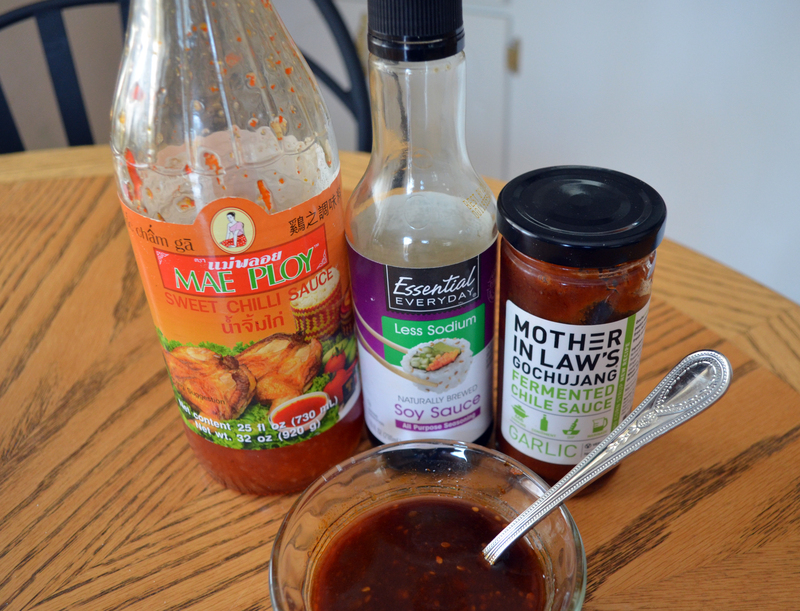 Sometimes I add more sweet chili sauce. That’s it. Easy peasy!